Welcome to the 4GreenPs Blog! We're talking sustainability, greentech, cleantech, marketing, CSR and more... Join us! 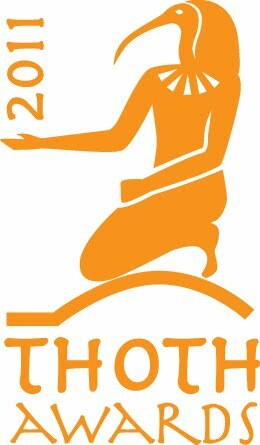 If you’re in the Washington, DC area, you may have seen headlines about last week’s 43rd annual Thoth Awards. Billed as “the best night of the year in PR,” it’s a major event for DC area PR agencies, Independent PR Alliance members, and in-house communications teams. The Thoths bring out a lot of friendly – and not so friendly – rivalry among firms competing for top honors from The Public Relations Society of America’s largest chapter. So while it’s true there were a few gasps from the Buy-Local crowd when DC newcomer Walmart took “Best in Show” for its “Fighting Hunger Together” campaign, the Thoths gala was primarily a celebration of the idealistic spirit that attracted many PR practitioners to DC in the first place. Our own work here at 4GreenPs in partnership with Pat Lute PR and on behalf of FRESHFARM Markets (Certificate of Excellence, Online Communications). In fact, there were many more great examples of how communications savvy can be used to save lives, improve lives, and give new hope to those in need. I wish I had a listing of every campaign – in detail. If you know of a campaign that should be added to this list, please do so in the comments. Here's a full list of honorees from the PRSA-NCC press release. Congratulations to all! And thanks to the many devoted PRSA members who worked so hard to judge the submissions and organize the Thoths gala. 4GreenPs connects green brands with mainstream consumers and helps mainstream brands go green with a full range of CSR and sustainability communications services. Want to talk about how we can help you? Contact lynn at 4greenps dot com.